Every San Diego and California business needs a good employee handbook (“EH”) for their staff and employees. Finding a generic EH on the internet is not good enough; you need a competent and knowledgeable corporate attorney to draft an EH that is unique to the needs of your business. Here is a quick checklist of what needs to be in your EH and how an EH helps your San Diego business avoid litigation by your employees. Saves Money: A well-drafted and conceived EH saves money in two ways: It simplifies and streamlines new employee training and acclimation. All of the company policies are in one place and the policies can be reviewed all at same time during the same orientation meeting. The best management practice is to have new employees sign various parts of the EH. Likewise, often, the EH includes various forms needed to be signed by a new employee such as immigration and tax forms. Then everything is put into the employee personnel file, which is specific to the employee. As policies are updated, then those updated policies and procedures are added to the employee’s personnel file. Second, being combined in one place, updating and reviewing the EH by the Board of Directors and by senior management is simplified. New laws or changes in existing law can easily be added. This also saves money. Helps Avoids Employee Litigation: In addition, an EH helps avoid employee litigation by setting out clear guidelines and expectations. Also, an EH provides a mechanism for ensuring compliance with various labor and employment laws and even compliance with California environmental notification laws. As an example, California labor law required posting — in a conspicuous place — notices with respect to minimum wage laws. See here. Such notices can be included in the EH as well as being posted. More importantly, inclusion in the EH provides a reminder that helps ensure compliance with legal requirements. Helps Create/Maintain Your Company Culture: Finally, an EH helps create and maintain your company’s culture. Each EH should be unique to the philosophy, standards, and values of the business. As seen on the checklist below, a good EH covers such matters as dress code, manner of behavior, morality, attendance, office decor, expected modes of conduct between employees and management and among employees, and more. As such, your EH sets the tone for the culture of your business. Code of conduct including dress codes, attendance, behavior codes, at-work use of music devices and cellphones, use of company equipment/resources, etc. Pay policies and benefits including sick days, vacations days, etc. For more information, contact Michael Leonard, Esq. of San Diego Corporate Law. Mr. Leonard can help draft an EH for your business. Mr. Leonard’s law practice is focused on business, transactional, and corporate matters. He can assist you with the incorporation of your business and/or the drafting of partnership/joint venture agreements. Mr. Leonard can also assist with nondisclosure and any other needed business agreement. Contact Mr. Leonard today via email or by calling (858) 483-9200. Do Your Employees Need Non-disparagement Agreements? 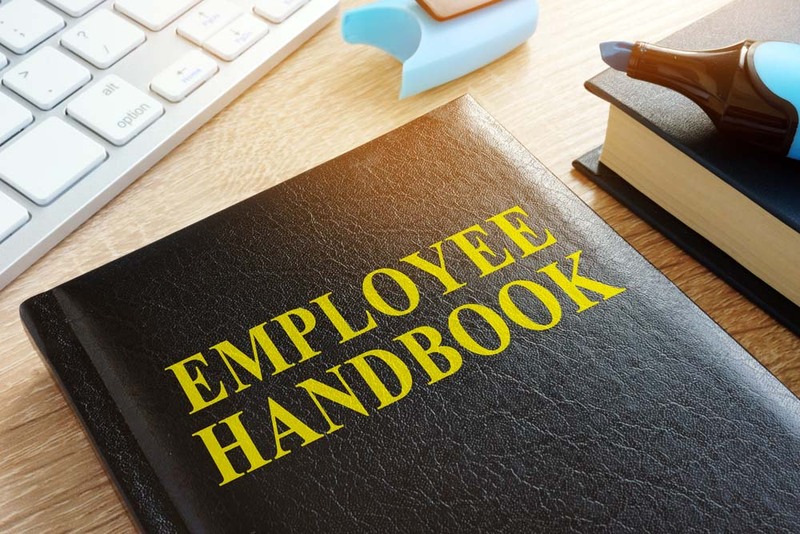 Can a Good Employee Handbook Help Avoid Employee Lawsuits?